Classrooms are closed for the season but that doesn’t mean learning should stop. Your little sponge is ready to soak up knowledge, know-how and skills all year round! So dust off those books and help keep Suzie’s learning alive this summer at home. Practicing math, reading or social skills for a short time every day will boost her abilities, and, still in habit of studying, make the transition back to school in September a little less stressful. Here are some of our favourite programs that you can easily do with your kiddo at the kitchen table between swimming and playing at the park. Jump Math: If Norm isn’t a numbers guy and quickly forgets most of what he learned in class, then pick up these math instruction books to work on in the summer. Curriculum-based, the concepts are broken down into easy-to-grasp steps, reducing the potential for frustration and increasing Norm’s skill and confidence with numerals. Every few days, support him with any necessary explanation and lots of praise as he does two or three pages. 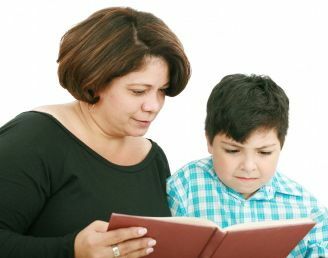 Teach Your Child to Read in 100 Easy Lessons: We love this step-by-step phonics program, because it’s affordable, easy-to-implement – all you have to do is follow the manual’s precise instructional script and error-correction tips – and it builds on skills incrementally to make learners rock-solid readers. If your goal is to have Suzie reading you bedtime stories soon, then spend 15 to 30 teaching her phonics every day this summer. Handwriting Without Tears: Here’s a fantastic program to help your kiddo print fluently. It’s so effective – and really fun for learners – that many teachers use it in the classroom. You can easily implement it at home, too: The instructor manuals are comprehensive and simple-to-execute and the company has videos to support you as you teach Norm to handwrite. Practice for 15 minutes daily in the summer to prep your precious for kindergarten or to simply improve his ability with a pencil. If Norm is already a pro at writing his ABCs legibly, then consider teaching him how to type with Keyboarding Without Tears. Model Me Kids: Strengthen your sweetie’s social skills with these engaging videos designed for children and teens with autism. Tune in together – Suzie’ll probably get a kick out of watching her peers interact – and then act out what you’ve seen to help her acquire the skill. Be sure to organize plenty of play dates, so Suzie can practice and get comfortable with what she’s learned from video modelling. Superflex: If social interactions, making friends and processing emotions are hard for Norm, then have Superflex come to the rescue this summer. It’s a super-fun and motivating social thinking curriculum designed to bring awareness to your kiddo’s thinking and to help develop his social behaviour and emotional self-regulation. The package comes with a super-cool comic book, a parent guide and handouts for Norm. Beyond these books (and DVD), there are many other ways to boost your babe’s abilities when school’s out. Stay tuned for our next blog that highlights the most fun summer activities that promote learning. At the end of August, send Suzie and Norm our way so we can help get them primed and ready to return to primary school. Here’s the scoop on our Back To School Basics camp.